It is so fun to win some of these sweeps! Guess what I won this morning? An apron from Silk Soymilk. It’s the third place prize and they are giving away 350 of them, so I feel pretty lucky! I hear almost every day from a reader who is enjoying winning the sweeps. But you’ve got to play to win, so here’s this week’s list with two new sweeps to try. FYI-the Colgate Sweeps has ended! I won 2 bags of chocolate in 4 days. Thanks for posting about the sweeps. The wendy’s link says the sweeps has ended. oh well! I won the Hershey’s Bliss as well! Free bag of candy here I come! Thank you so much for your blog! It’s awesome! I’m jealous about the Spraychel gc. I still have yet to receive mine, but I chalk it up to being at the end of the alphabet. I was wondering, though, does anyone know how old you have to be for the Febreeze sweeps? I just turned 25 last week but it says it “cannot receive communications” from my age group. I tried it twice being careful about my bday and nothing. What’s up? 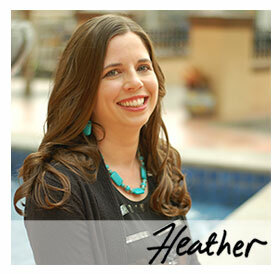 Heather,My 3rd and final post today…LOL. I was so excited today to finally get my $15.00 gift card for Target from playing the “I can’t believe it’s not Butter – Spraychel for President”! Heather, Thanks so much for the quick response and all the good info you provided about the phone number (I never used my real number) on sweeps and e-newsletters. It really helped! I’m going to point you to Mrs. Micah with instructions on how to set-up a free voicemail number. My opinion is that it is smart to use a phone number that is not your primary home number, but to use a number you are able to receive messages at. Here is Mrs. Micah’s resource list: http://tinyurl.com/48kke7 I’ve never won a big prize that required a phone call to verify, but I imagine that they do call you if you win something big. I still need to set mine up, but I was doing it for my blog, and not for sweeps entries. But I think it’s a great idea to set one up for sweeps, and just check it for voice messages online.Honestly, I have been listing my home phone number for all my sweeps entries and I really don’t think it has resulted in an increase in phone calls from solicitors. But of course it is difficult to tell. We’ve always gotten a spattering of them, and are able to screen most by using caller ID so it never is too annoying.Newsletters are typically optional to sign-up for, but they should make that clear in the sweepstakes entry form. I sign-up for an unusually large number of enewsletters simply because they are a good source of information for new coupons, samples, sweeps, and promotions. Only sign-up for what you are interested in. It is usually easy to unsubscribe to most newsletters. Although some are more finicky because they require several steps to sign-in to your account and then update your preferences. Linda – Don’t worry, Hershey’s should mail you a coupon. When you registered to play their instant win game for the first time, you gave them your mailing address. Typically companies like to mail out the coupons for the free products because it reduces the potential for fraudulent coupon distribution. Congrats! Can you believe I still have not won my free bag of Bliss from Hershey’s? Hi Heather, I know you’ve covered this question before but can’t remember what you do. Maybe you could repost that thread. Do you list your real phone number for the sweeps? And, do you always sign up for their newsletters? THANKS again! I won from the Hershey’s Bliss contest this week! I only had to play a few times to win! Hey Heather, I won a bag of candy. Will they mail the coupon to me? I am not seeing where to put in the claim number. My email didn’t have a link or anything. Congrats on the apron and thanks so much for this blog – it’s amazingly helpful!! Congrats on winning the apron! I have one a free sample from the Colgate sweeps.